Welcome to Anderson County, Tennessee! East Tennessee dream it. DO IT. Market Street, Clinton. A Long Table Event on June 14, 2019 from 6-10pm. Focused on promoting retail and commercial growth as well as the retention and improvement of existing businesses throughout Anderson County. Tennessee Downtowns is an affiliated program of Tennessee Main Street designed to help communities embark on a comprehensive revitalization effort for their downtown. Clinton was awarded the Tennessee Downtown designation in July 2018. Search for available opportunities throughout Anderson County. Including Business Development, Community/Government Relations, Education/Workforce Development, and Membership. 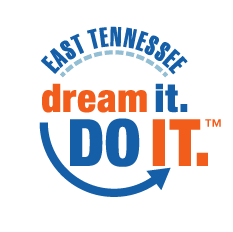 Encouraging small business development through a team effort with the East Tennessee Development District’s Area-wide Development Corporation and Roane State Community College.